Do you love picture books? Join us in our children’s section with special storytime guest Francie Latour! 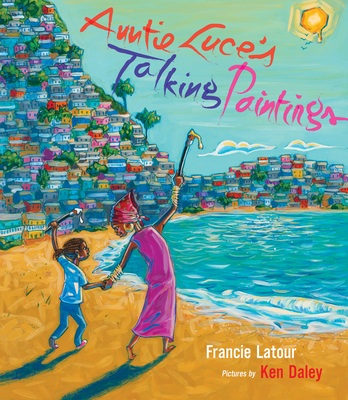 Every winter, a young girl flies to Haiti to visit her Auntie Luce, a painter. The girl has always loved Auntie Luce’s paintings - the houses tucked into the hillside, colorful fishing boats by the water, heroes who fought for and won the country’s independence. Through Haiti’s colors, the girl comes to understand this place her family calls home. And when the moment finally comes to have her own portrait painted for the first time, she begins to see herself in a new way, tracing her own history and identity through her aunt’s brush.